About eight miles down Folly Road on the way to the beach, there used to be an old toll booth erected in the 1920s where motorists visiting Folly Beach had to stop and pay; it was at the corner of Folly and Sol Legare Roads. 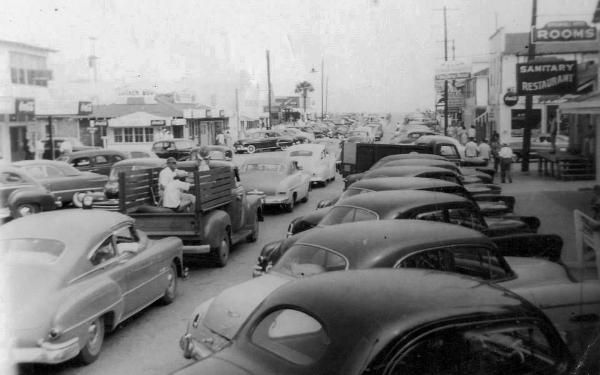 Then, as in now, were you to turn right and drive down Sol Legare, you’d come into a small community sitting in the marsh across from Folly Beach. Keep driving, and on your left you’ll find Mosquito Beach, an important recreational site for black Charlestonians during the mid-twentieth century when segregation laws were still in effect. Like Riverside Beach in Scanlonville that we mentioned last week, ‘Skeeter Beach’ on Sol Legare Island has old roots and an interesting history as well. Sol Legare Island was named after plantation owner Solomon Legare. After the Civil War, the 850-acre tract of land was divided and sold to freed slaves, who built a strong fishing and farming community here. (The story of the recently restored Seashore Farmers Lodge, ca. 1915, is especially compelling--read what the Preservation Society of Charleston has to say about it.) 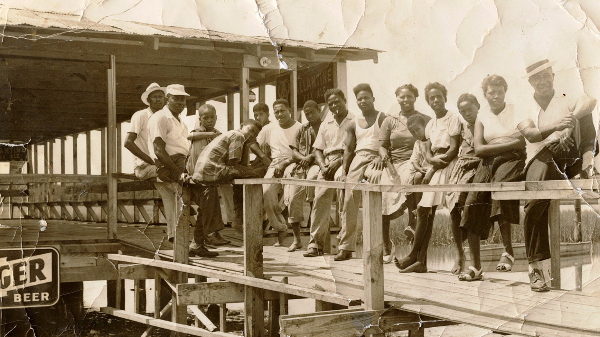 In the late 1930s, Joe “King Pin” Chavis and Andrew “Apple” Jackson Wilder, Sr. began evolving the area surrounding an old oyster factory into a resort area and called it Mosquito Beach (surely you can guess why). Mosquito Beach dock and pavilion, circa 1940s, Avery Institute. 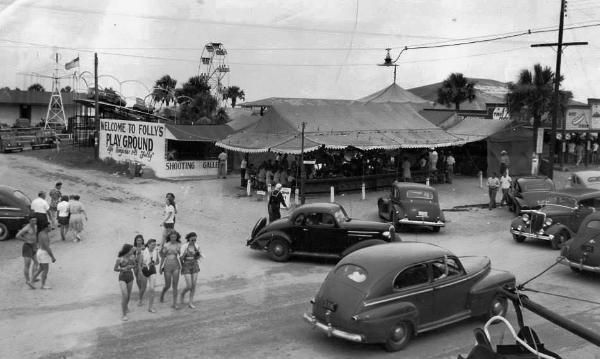 By the 1950s, several seafood stands, restaurants, bars, honky tonks, dance clubs, and a boardwalk pavilion lined the creek, drawing crowds from around the state. Occasionally, people swam, but more often they enjoyed barbeques after church on Sundays and danced at the pavilion on Saturday nights. 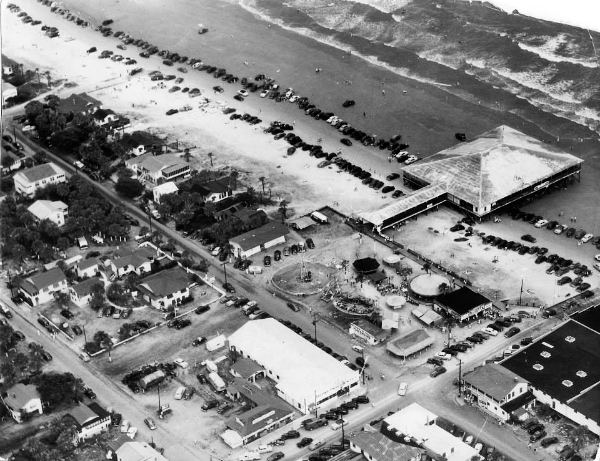 Mosquito Beach businesses continued to prosper after the 1964 Civil Rights Act outlawed racial segregation, but several storms in the 1980s and 90s damaged or destroyed many of the original structures. Eventually violence and other misfortunes began to crop up, and for years now community leaders--some are sixth generation descendants of the original founders--have been taking steps to preserve this important African American cultural community. Interested in learning more? Good, because it’s happening tomorrow! The Gullah/Geechee Nation Appreciation Week kicks off on Saturday with Famlee Day out at Mosquito Beach to celebrate the community’s efforts to revitalize and restore the area to its original prominence. Queen Quet, the visionary behind the events, encourages those that want to learn about Gullah/Geechee culture from native people who still live the traditions to “come out and yeddi de trut bout who webe frum de tru Gullah/Geechee whey dey juss doung de road een Sol Legare! We will be at Mosquito Beach ready to share and celebrate with the entire family!” Join the festival--music, food, presentations, crafts--tomorrow, July 25th, from noon til 6 pm. See y’all there! “Summertime, and the livin is easy...” Wouldn’t you agree? Y’all know the story of the mob hitman who hid out on Folly, right? Known for his efficiency, hot temper, and utter lack of compassion, Elmer Francis “Trigger” Burke escaped from prison near Boston and headed to South Carolina, where he hooked up with one of the FBI’s Most Wanted, Duke Connelly, in 1954. 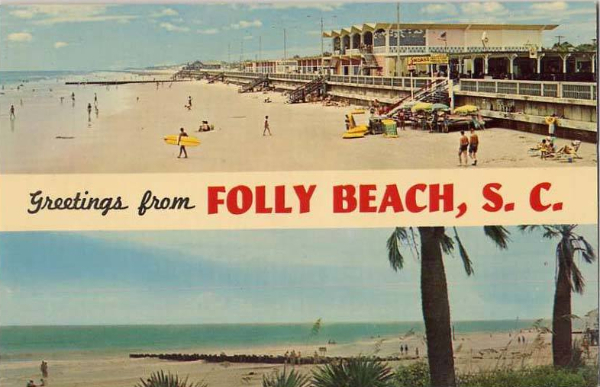 Burke lived with the Connelly family on the Isle of Palms until the family disappeared in June, 1955--Connelly and his wife were never found, but their two children were found separately in Maryland and Delaware. The $90,000 cut that Connelly received as the getaway driver in his last bank robbery was never recovered, and it is speculated that Burke may have discovered its location and took advantage of an easy make. In any case, he moved over to Folly Beach and lived a life of luxury there until he walked into an FBI trap on Center Street. “Agents described his appearance as casually attired with well-manicured fingernails and deeply tanned,” according to Mark Jones’ Wicked Charleston: Volume II--a great read for the entire story. Trigger Burke refused to say what happened to the Connellys or their money. Maybe it’s buried out there somewhere? For lovers and tourists and the poet who wrote "The Raven." Was a Ne York gunman named Trigger Burke. "Only time they caught me, it was only a fluke. "There ain't no jail can hold Mr. Trigger Burke." So Trigger moved over to Folly Beach. "Ain't the cops dumb Down South in Dixie? Ain't the cops dumb? And ain't they hicks? Safest place to be in here in the sticks. They'll never dream that I'm hidin' out in Folly." But the cops weren't dumb and that's no lie. "Put up your hands," said the FBI. "Face the wall, Trigger, 'less you want to die. Burke, you've been acting mighty regal. Now lie down, Trigger and do the spread eagle!" "I wonder," he grated, "who had me fingered." We got to take you now to Seabreeze Hotel." 'Cause the Seabreeze Hotel is the county jail. When reporters took his picture, he didn't say "thank ye." "Please, your honor, can I stay in the South?" "You'll like it up North, Mr. Convict Trigger." They put Mr. Burke on the train "Champeen,"
When the southern cops found me hidin' out in Folly."